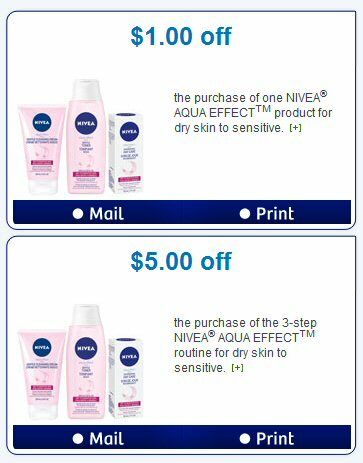 Here are 2 great hidden websaver.ca coupons for you all to save on your next purchase of Nivea Aqua Effect products. Click here to order your 2 Nivea coupons now. Save $1.00 on the purchase of one Nivea Aqua Effect product for dry skin to sensitive. 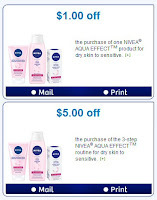 Save $5.00 on the purchase of the 3-step Nivea Aqua Effect routine for dry skin to sensitive. Looking for Nivea for normal skin type? Click here to see my post for Nivea Blue coupons.